These are the voyages of HMS Rigid. To maintain the safety and sovereignty of these blessed United Kingdom of British Islands. Well, the jury is out on Scotland, though. To seek out and destroy enemies of Brexit without compunction, hesitation or mercy. To boldly repel all boarders, all aliens and any other filthy non tax paying, benefits scrounging scum we encounter. Somewhere in the sea a bit near to Spain where we can spy on Spain using a telescope through my porthole pointed towards Spain. 0100: It is a hot and sticky night. I toss on the toss and swell of the Atlantic Sea. The damp stains on my sheets are damply sticking to my back, thighs and matting my chest hairs. 0115: Trouble sleeping, so instead I pitch and yaw, getting all of a tangled up in my sticky sheets. I have less clean sheets than Joe Hart. Snort. One for the book. 0130: Went to Admiral’s Heads to pass an Admiral’s Log. There was no paper. Blowpipe forgot to replace the finished roll. Displeased to have to carefully tear the 2 ply cardboard inner into usable sheets. Not sure that they were as effective as ship’s standing orders required. Wiped sticky finger on sticky sheets. Glad Her Majesty was not using my cabin. Or was planning a nightly inspection. Would not like to shake her hand for fear of staining her white cotton gloves. 0135: Reluctant to re-enter bunk. 0145: Admiral’s Resolution - Blowpipe is in for a severe bollocking when he pokes his head around my cabin door later. 0146: Decided my life is hell. Nobody understands. How difficult is it to put a bog roll in the Admiral’s Heads? Not just that, it’s lonely at the top. It’s hell here, out on the oceans. And we must wait. Wait. Trouble is Brewing. The Spanish are revolting. I have a sea dog’s nose for such things and that nose is spying trouble when I spy it through my telescope. That is why we have heaved-to out here. To wait. Wait for the brewing trouble to brew. And for me to spy it. 0147: Pleased to note, by poking my telescope up the rear, that Petty Officer Tongs and Midshipman Stonkly are up the fo'c'sle, lashed at their stanchions and ready to repel all boarders. We never get any boarders because this is not a boarding school. 0148: Snort. Another one for‘Admiral’s Joke Book’. 0149: Damn, damn, damn. Can’t take any more. Am off to the bridge for cocoa and to belay the yard arm with the ship’s swagger stick. How now, Blowpipe? How goes the watch? Begging your pardon, sir, but I’m not talking to you, sir. Not talking to me? Why the blazes not, you impudent boy? Cos of the way you treat me, sir. Well all you do is shout at me, sir. Blowpipe, do this, Blowpipe do that, Blowpipe bend over and bite the ship’s wheel, sir. I have never knowingly asked you to bite the ship’s wheel, Blowpipe. Exactly, sir. You don’t treat me like a human being, sir. You just order me about like you’re some kind of superior officer and I’m just the muck on your shoes, sir. Well, damn it; I am a superior officer, Blowpipe. Well I’ve had enough, sir. If you don’t start respecting my human rights I’ll start wearing this ‘Me Too’ T Shirt, sir. Me Too? What’s that? Some sort of Star Wars robot? Oh you can scoff, sir, but there’s plenty more of us what feel the same. Do you think it’s an accident there was no paper in Admiral’s heads? What’s that on your fingers, sir? Oh shut up, Blowpipe and get me my cocoa, unless you want my boot up your arse. Do you want me to get Midshipman Stonkly to flog you for insubordination? Well don’t blame me if me and Tongs defect to the Spanish Navy, sir, that’s all I’m saying. Defect? Spain? You impertinent blaggard! I didn’t get out of my bunk to hear your mutinous claptrap, Blowpipe! I got out of my bed due to a hot, sticky feeling that I want you to deal with. Well I’ve a mind to defect, sir. You can keep your ten of port on, starboard fifteen sir. Admiral Juan Carlos McTavistock of the Royal Spanish Navy has promised me and Tongs special dispensation, sir. Well that’s not surprising, anyway. The bloke’s a bald as a coot and grateful for anything he can get. What’s that? Off the starboard bow. An incoming bogey at ramming speed. Bogey, sir? Shall I get the ship’s handkerchief, sir? Shut up, Blowpipe and clap the telescope to your eye, boy. Tell Stonkly to stand by to repel all boarders. Sound red alert. No need to worry, sir. It’s the man from Milk Tray. This is Her Majesty’s navy. There are no beautiful queens here! What do you mean, boy? Well, those chocolates are probably for me and Tongs, sir. From Admiral Juan Carlos. Here he is now, sir. You! Special Agent Quality Street or whatever your name is. You’re under arrest! Shall I clap him in irons, sir? Wait. I beg of you. I come with a special message from Admiral Juan Carlos. He sends you these as a measure of his trust. That’s right, Able Seaman, after all, as you Islanders say, the Admiral is world renowned for his reception parties. With these he is spoiling you. Is he? Well, we in the UK are no slouches either when it comes to reception parties, you know. Pah and gah! Cocktail sausages on sticks? Cheese and pineapple stuck in an upturned halved grapefruit? We spit upon your reception parties here in Europe. Well, what kind of fancy pyramid is that? One heavy wave and the whole lot would tip over, spill on the deck and present a hazard to navigation! Blowpipe! Relieve him! What, here, sir? On the bridge, sir? In front of Chief Petty Officer Noblik, sir? No, no. I mean relieve him of that hazardous plate of chocolates, you blundering jackanapes. Oh, I see. With pleasure, sir. Wait, wait, wait - we have, how you say, got off on the wrong foot. The incorrect old plates of meat. Shut up, Blowpipe. I have this message from Juan Carlos, Admiral. He is offering a truce and cessation of hostilities. With certain…conditions. Let me see that, Agent Rittersport. What’s this? 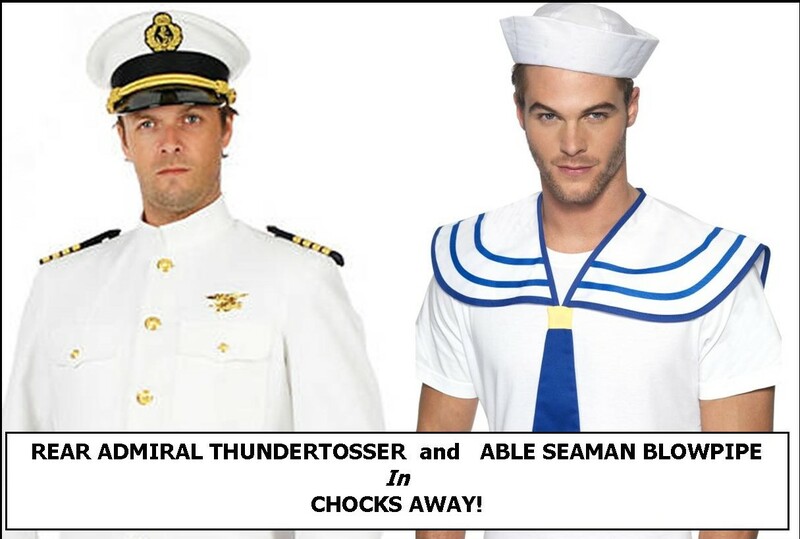 “Dear Rear Admiral Thundertosser. Prior to Brexit, I accidentally insured my car with UK company ‘Sure Thing’ Finance. They automatically renewed it without my permission. Please could you cancel my policy and tell them I no longer need it and I want my money back. Yours sincerely, Admiral Juan Carlos McTavistock.” And here is a telephone number. Is this some kind of joke, Rowntrees? Joke? No, sir. He says that the UK has blocked all telephone lines and only you can successfully cancel the transaction. It is an emergency. The next direct debit of twenty five pounds and seventeen pence is due to be taken from his account in three days. Three days? That doesn’t give us much time! Exactly. The clock, as you Britishers say, is ticking. Yes, indeed. These people are bastards. Well pass me the ship’s telephone, Blowpipe. There’s no time to lose. Hello? Hello? Who’s this? Option 1, 2 or 3? What are you talking about? If I have access to the website I can easily make a fast payment from the comfort of my armchair? Hello? It’s difficult to say. There seems to be some infernal tune playing on a constant loop. It starts. Builds to a crescendo. Stops. There’s a pause, then the whole thing repeats itself. Fourth time now. Fifth. Sixth. Ah yes. This happened to Juan Carlos himself. He assumed it was your English way of blocking him. He had to listen for a whole two hours. Nearly ran the ship aground on Dogger’s Bank. Hello? Ah…finally. I’ve been waiting for twenty bloody minutes. Is that ‘Sure Thing’ Insurance? Yes, Thundertosser’s the name. Admiral, to you. No, no, I don’t want their number. Are they? Oh. Hang on. Er…it seems there’s a different insurance company that actually is called Admiral. I see. Another of your so called English jokes, eh? Juan Carlos will be most displeased. Shut up, Cadbury. Now see here, my man. You renewed a policy set up by an acquaintance of mine called Juan Carlos and extracted money from his bank account. No he didn’t give you permission. It says here that he cancelled the direct debit. You set another one up? What do you mean you set another one up? Now look. He spends most of time at sea. Why does he want you to insure a car he doesn’t own anymore? Yes, that’s right. Ship. At sea. You can’t drive a car in the sea. No it isn’t one of those ones like James Bond had in ‘The Spy Who Loved Me.’ Those are made up cars. I don’t care if you thought you saw one at Bigbury on Sea. E mail? What do you mean he should have emailed you? How should he know that? Small print? Well done, sir. You’ve got them on the ropes, sir. Close Brothers? Who the bloody hell are the Close Brothers? Ah. Hang on…Er, it seems that the Close Brothers handle all financial matters for ‘Sure Thing’ insurance these days. Well, that’s all right then. These Close Brothers. They are friends of yours? How many brothers do they number? Hello! Is that the Close Brothers? It is? Excellent. Now, see here…Ah, hang on. Blowpipe? Can you fetch my debit card? They want my bank details. Certainly, sir. Right away, sir. OK, yes. 17554923. Sort Code? Yes – ah – 02 – 72 – 85. Thank you. Thank you very much. No – I’m sorry, entirely my fault. Goodbye. It seemed I owed the Close Brothers sixty four pounds and twenty two pence. They were going to send bailiffs around to board HMS Rigid next Tuesday. Still, no harm done, Mackintosh. What about Juan Carlos’ insurance policy? They say it’s his fault for not dealing with a reputable company instead of a mickey mouse outfit designed to rip the unwary off and if he crashes his car it was highly likely they wouldn’t pay out anyway. This means war. And you can give me those chocolates back. Defect? You? I spit upon your so called defection. I’m confused dot com. Where’s he gone? Never mind that. I want my cocoa! Oh dear. Another international incident. Quiet, Tongs, you blithering idiot! Shut up, Tongs and mind your stanchion. Right you are, sir. Do you think Juan Carlos will complain, sir? How should I know? What’s that off the starboard bow? I think it’s the Close Brothers sir. Close Brothers? How do you know?